Law Web: How to appreciate evidence in case of registered will? How to appreciate evidence in case of registered will? There is no doubt that 'if a will has been registered, that is a circumstance which may, having regard to the circumstances, prove its genuineness. But the mere fact that a will is registered will not by itself be sufficient to dispel all suspicion regarding it where suspicion exists, without submitting the evidence of registration to a close examination. If the evidence as to registration on a close examination reveals that the registration was made in such a manner that it was brought home to the testator that the document of which he was admitting execution was a will disposing of his property and thereafter he admitted its execution and signed it in token thereof, the registration will dispel the doubt as to the genuineness of the will. But if the evidence as to registration shows that it was done in a perfunctory manner, that the officer registering the will did not read it over to the testator or did not bring home to him that he was admitting the execution of a will or did not satisfy himself in some other way (as, for example, by seeing the testator reading the will) that the testator knew that it was a will the execution of which he was admitting, the fact that the will Was registered would not be of much value. It is not unknown that registration may take place without the executant really knowing what he was registering. Law reports are full of cases in which registered wills have not been acted upon (see' for example, Vellasaway Sarvai v. L. Sivaraman Servai, (1) Surendra Nath Lahiri v. Jnanendra Nath Lahiri ( 2 )and Girji Datt Singh v. Gangotri Datt Singh)(3). Therefore, the mere fact of registration may not by itself be enough to dispel all suspicion that may attach to the execution and attestation of a will; though the fact that there has been registration would be an important circumstance in favour of the will being genuine if the evidence as to registration establishes that the testator admitted the execution of the will after knowing that it was a will the execution of which he was admitting. Registration of Mill, if dispels all suspicions. were dispelled by the registration of the will. circumstances had been dispelled. This he had failed to do. suspicions without scrutiny of the evidence of registration. H.Venkatachala Iyengar v. B. N. Thimmajamma, (1959) Supp. 1 S. C. R.1426, applied. CIVIL APPELLATE JURISDICTION : Civil Appeal No. 373/587 Appeal by special leave from the judgment and decree dated February 2, 1954, of the Assam High Court in First Appeal No. 19 of 1950 (Probate). S. P. Desai and Naunit Lal, for the appellants. K. R. Krishnaswami, for respondent No. 1. (iii) that the will was the ',outcome of unite influence and coercion exercised by the respondent. While 'the application of the respondent was pending, another application for probate of another will said to have been executed by the testator' a few months before his death was made by Kumar Dwijendra Narayan Deb. The appellants- objected to that will also on the same grounds and further added that will was a forgery 'Dwjendra Narayan did not dispute the execution 'of the will. in favour of the respondent but contended that will had been revoked by the later will in his favour. The respondent, however contended: that the '.will in favour of Kumar Dwijendra Narayan.Deb' was a for The two suits arising out of the two applications for probate were. eventually tried together by the Subordinate Judge at Gauhati. He held that the, will propounded by Kumar Dwijendra Narayan Deb was not genuine and therefore dismissed his application. As 'to the win propounded by the, respondent it was held that it was duly executed and attested and was made by the testator at a time when he had sound disposing state of mind and that it was not made under any undue influence and coercion. Consequently the application of the respondent was allowed and letters of administration With the copy of the will annexed were ordered to be issued to him. This was followed by three appeals to the High Court. One of the appeals was by the present appellants and they contested the issue of letters of administration in favour of the resp ondent the other two appeals were by Kumar Dwijendra Narayan Deb. By one appeal he contested the issue of letters of administration to the respondent and by the other he contested the finding of' the Subordinate Judge that the will propounded-by him was not genuine. The three appeals were heard by the High Court together and it upheld the finding of the trial court that the will in favour of Dwijendra Narayan was not genuine ; in consequence, the,. two appears filed by him were dismissed. This order of the High Court has become final and we are not concerned in the present appeal with the will propounded by Dwijendre, Narayan. In the appeal. by the appellants, the High Court upheld the findings of the trial court and dismissed the appeal. The High Court was conscious of the fact that there were certain suspicious circumstances attending the execution of the , will in favour of the respondent, but it held that as the will pro- pounded by the respondent was later registered in January 1944 'the suspicion attending the execution of the will was dispelled by the fact of registration. The High Court therefore held that due, execution and attestation of the will had been proved and it was also proved that the testator was of sound disposing state of mind at the time of the execution and that there was no undue influence, or coercion exercised on the testator by the respondent in connection with the execution of the will. The appeal before the High Court was heard by a Division Bench and separate but concurring judgments were delivered by the learned Judges composing the Bench. Ram Labhaya J. who delivered the main judgment was not we much impressed by the alleged suspicious circumstances and held that whatever suspicion there might be was dispelled by the fact of the registration of the will later. The learned Chief Justice, who was the other Judge, and who substantially agreed with Ram Labhaya J. was more impressed by the existence of suspicious circumstances relating to the execution and attestation of the will even so he held that the registration of the will was a complete answer to the suspicious circumstances which undoubtedly existed in this. case. In the event both the learned Judges agreed in dismissing the appeal. Eventually the appellants came to this Court by way of special leave which was granted ; and that is how the matter has come up before us. Before we consider the facts of this case it is well to set out the principles which govern the, proving of a will. This was considered b this Court in H. Venkatachala Iyengar v. B. N. Thimmajamma(1). 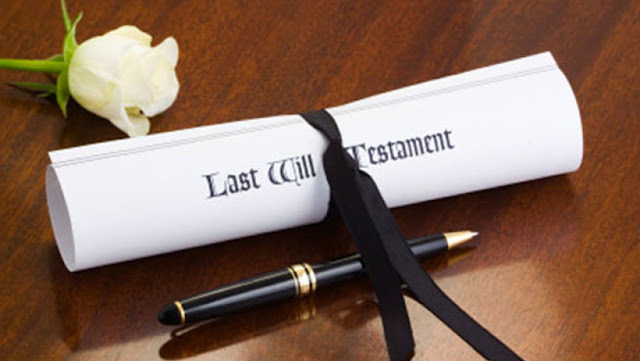 It was observed in that case that the mode of proving a will did not ordinarily differ from that of proving any other document except as to the special requirement of attestation prescribed in the case of a will by s.63 of the Indian Succession Act. The onus of proving the will was on the propounder and in the absence of suspicious circumstances surrounding the execution of the will proof of testamentary capacity and signature of the. testator as required by law was sufficient to discharge the onus. Where, however, there were' suspicious circumstances, the onus would be on the propounder to explain them to the satisfaction of the Court before the will could be accepted as genuine. If the caveats alleged undue influence, fraud or coercion, the onus would be on him to prove the same. Even where there were no such plea,% but the circumstances gave rise to doubts, it was for the propounder to satisfy the conscience of the Court. Further, what are suspicious circumstances was also considered in this case. The alleged signature of the testator might be very shaky and doubtful and evidence in support of the propounder's case that the signature in question was the signature of the testator might not remove the doubt created by the appearance of the signature., The condition of the testator's mind might appear to be very feeble and debilitated and evidence adduced might not succeed in removing the legitimate doubt as to the mental capacity of the testator ; the dispositions made in the will might appear to be unnatural, improbable or unfair in the light of relevant circumstances ; or I the will might otherwise indicate that the said dispositions might not be the result of the testator's free will and mind. In such cases, the Court would naturally expect that all legitimate suspicions should be completely removed before the document was accepted as the last will of (1)  supp. 1 S.C.R.426. the testator.,, Farther, a propounder himself might take a prominent part in the execution of the will which, conferred on him substantial benefits. If this was so it was generally treated as a suspicious circumstance attending the execution of the will and the propounder was required to remove the doubts by clear and satisfactory evidence. But even where' there were suspicious circumstances and the propounder succeeded in removing them, the Court would grant probate though the will might be unnatural and might cut off wholly or in part near relations. It was urged before us that in view of concurrent findings of the courts below we should be slow to disturb them. In view, however, of the suspicious circumstances noted by the High Court and some differences in 'the approach of the two learned,Judges composing the Bench, we permitted learned counsel for parties to go into the entire evidence so that we may be able to judge whether the High Court was right in its conclusion that the fact of registration had dispelled all suspicions. Let as now turn to the, facts relating to the execution of this will. We' have already pointed out that the High Court was of the view that there., were suspicious circumstances attending the execution of the will and that it was an unnatural will. The testator left behind him his widow and his married daughter (who are appellants before us) and an unmarried sister who was dependent upon him. Besides these, the testator had a number of other relations who were much nearer to him than the respondent. Even if we leave out of account the married daughter and the other nearer relations, the widow-,'and, the, sister were certainly expected to be properlyprovided for by the testator. It is not in dispute thatthe relations between the testator and his wife and sister were good. In these circumstances we should have expected something better than what is provided in the will for those two. All that the will says is that the wife and the sister would be suitably maintained by the respondent during their life-time. No amount is specified which should be given to these two ladies as maintenance and no charge is created on the properties left by the testator which were considerable. In effect, the two ladies were left to the tender mercies of the respondent in the matter of their maintenance. Further the result of this will is that the daughter would be completely disinherited. The testate or had a number of children but all have died many years before and only one daughter was alive at the time of his death. She was married and on behalf of the propounder it is Raid that the relations between the testator and her husband were not very happy. The evidence, however, does not show that the relations between the testator and his son-in-law were particularly strained at the time of the execution of the will. In any case there is no satisfactory evidence to show that relations between the testator and his daughter were bad even if the relations between him and his son-in-law were not of the best. In the circumstances we should have expected the testator to make some provision for the daughter, particularly when it is said that she was not well-off. There is no doubt therefore that the will is most unnatural and that is a suspicious circumstance which must be satisfactorily explained before the respondent can get letters of administration. Another suspicious circumstance is that the respondent gets the sole benefit under the will subject to the maintenance of the wife and the sister and he was certainly taking part in the execution of the will on the date it was executed. In such ,circumstances the respondent was required to remove the said suspicion by clear and satisfactory evidence. Whether he has done so or not will be considered by us later. Another suspicious circumstance is that the signature of the testator does not appear to be his usual signature. That is why a lot of questions were put to the witnesses whether the testator signed the will with his left hand or right hand and evidence was also given that the right hand of the testator had been injured sometime before. Another suspicious circumstance is that it has been proved in this case that the testator used to sign blank papers for use in his cases in court and used to send them to his lawyer through his servants and these papers could be in the possession of Rameswar Sarma, the lawyer of the testator, who has appeared as a witness to prove the will and who was, according to his evidence, consulted by the testator in this matter. Such papers could also be found in the possession of the testator's mukhtars. Therefore it was possible to manufacture a will on papers already signed by the testator ; and that is certainly a suspicious circumstance which had to be overcome in this case. Lastly, the High Court has noticed that the signature of the testator is not in the same ink and may not be with the same pen with which the body of the will is written. The difference in ink may not ordinarily be a matter for various suspicion; even so it has to be explained in the peculiar circumstances of this case when blank papers containing the testator's signature were available. Let us now turn to the proof of execution that has been given in this case to see if the suspicions raised above have been dispelled. The will was alleged to be executed at Na-hawli. It bears the signatures of as many as sixteen persons as attesting witnesses ; but of these only three were examined on behalf of the respondent. The respondent also appeared in the witness box. These three attesting witnesses are Biswanath Bhattacharya, Rameswar Sarma, and Kulendra Narayan Deb. None of these witnesses is independent and it was certainly possible for the respondent to produce other witnesses out of the sixteen who would not be so interested in him. Bhattacharya is the Purohit of the respondent and that obviously makes him a person interested in the respondent. Ku Kulendra Narayan Deb is the first cousin of the respondent and therefore a near relation who would be interested in him. Rameswar Sarma is a lawyer. He was admittedly working for the test- ator as such during his life-time. He was questioned whether after the death of the testator he had become the lawyer of the respondent. He denied that. Obviously this must have been done by him with the idea of posing that he was an independent witness; but his son-in-law Dayanand Goswami, who had already appeared for the respondent, admitted that Sarma was the present pleader of the respondent. It is obvious therefore that Sarma tried to pose as an independent witness by. denying what his son-in- law had already stated about his connection with the respondent. In the circumstances he cannot also be held to be a disinterested witness, which he tried to be. Besides, none of these three witnesses belong to Na-hawli, where the execution of the will took place. The evidence also shows that among the sixteen persons who attested the will there were persons who were both independent and respectable like Banshidhar Goswami, a doctor, Jammi-ud-din, an elder of the village and Baneswar Deka, a retired Sarishtedar ; but no attempt was made to produce these witnesses to dispel the suspicion arising from the circumstances which we have already mentioned. Apart from the witnesses being interested, the actual evidence given by them also does not in our opinion dispel the suspicion aroused in this case. Bhattacharya, for example, said that he had been invited by the testator to attend the adoption of respondent as his son and he went on that date to Na-hawli for that purpose. He further said that he had gone on a cycle straight to Na-hawali and did not meet anyone on the way. It seems strange that this witness should have been invited to be present at an adoption when what the testator was intending to do was to execute a will. Probably it was felt that a Purohit would be more likely to be invited to an adoption and therefore this story was put in his mouth. Further Bhattacharya is contradicted by the respondent and Kulendra Narayan who say that Bhattacharya had been staying at Kulendra Narayan's place for two days before and had gone from there to Na-hawli with the respondent and his father and Kulendra Narayan. The story therefore that Bhattacharya was invited by the testator is obviously false and if he did go to Na-hawli it must have been in the company of the respondent and his father whose Purohit he was. As to the execution itself the witnesses differ on one very important matter. Bhattacharya said that the wife of the testator was also present at the execution of the will and raised no objection. He was asked if any one there suggested that she should also sign and he said that he did not remember. Kulendra Narayan also said that the wife of the testator was present when the will was executed and did not object. He even went to the length of saying that she said that what her husband wanted to do had been done and the respondent was her son also. The respondent on the other hand says that the wife of the testator along with the other women was sitting in the doorway of a room adjoining the portico. He does not suggest that the wife of the testator was present while the will was executed. Similarly, Rameswara Sarma stated that the appellant Rani was in the adjoining house about 20 yards away and did not come near her husband when the will was executed. Now the fact whether the appellant Rani was present or not when the will was executed was of great importance and of the four witnesses who have deposed about the execution of the will including the respondent, two say one thing and the other two say something quite contradictory. In these circumstances the inference would be that the story about the execution has been made up and that is why there are contradictions on such an important mater. In any case there contradictions hardly help to dispel the suspicion aroused by the circumstances already mentioned above, A good deal of reliance has been placed on the statement of Rameswar Sarma who has been practicing as a pleader since 1929 and became an advocate sometimes in 1948/1949. He was counsel for the testator for the last few years before his death. Ordinarily, therefore, his evidence would be entitled to great weight because of his connection with the testator and his standing is a lawyer, and if it is accepted much of the suspicion might be dispelled, for he has given explanations as to why the testator made such a will and has also referred to the advice tendered by him to the testator in this connection to provide something more beneficial for the daughter, the wife and the sister and the testator's refusal to do so. But we should have expected from a witness of this kind strict regard for truth and if 'we were sure that the witness had strict regard for truth we might have believed his statement. As we have already pointed out, however this witness does not appear to have much regard for truth and tried to pose as an independent witness by denying that he was working as a lawyer for the respondent, when his son-in-law had already admitted that he was the present pleader of the respondent. In these circumstances we can place no reliance on his evidence, for if he was capable of denying his connection with the respondent he- can be capable of colluding with the respondent in manufacturing the will on signed blank papers which were admittedly available to him and others. Looking at the evidence of the three attesting witnesses and the respondent broadly, we must say that evidence does not dispel the suspicion as to the due execution and attestation of this will. The High Court was also conscious of the fact hat the evidence as to the execution and attestation of the will was not very adequate, for the learned chief Justice observed that the evidence on the point of actual execution might not be very adequate; but the view taken by the High Court was that more evidence was not necessary in view of the pleadings of the parties. In this connection the High Court relied on Dwijendra Narayan Deb's acceptance of the will in favour of the respondent. This in our opinion was not justified so far as the appellants were concerned, for an admission of Diwijendra Narayan Deb who must now be held to have put forward a forged will could not be an added circumstance to support the inadequate evidence led by the respondent. We are further of the opinion that the High Court was not justified in executing the inadequacy of the evidence to prove the due execution and attestation of the will on the basis of the pleadings of the parties. It is true that the appellants did not say in so many words that the will propounded by the respondent was a forgery as they did about the will propounded by Dwijendra Narayan Deb; even so the appellants had put the respondent to strict proof of due and legal execution and attestation of the will and there was an issue to that effect. This was not a case where the due and legal execution and attestation of the will was admitted and the only disputes were that the testator had not a sound disposing state of mind or had acted under undue influence or coercion. Though the appellants did not go to the length of characterising the will as a forgery as they did in the case of the will propounded by Dwijendra Narayan, they certainly put the respondent to strict proof of legal and due execution and attestation of the will. In such circumstances it was the duty of the respondent, particularly in the presence of auspicious circumstances which have been noted by the High Court, to prove the due execution and attestation of the will by satisfactory evidence which would lead Court to the conclusion that the suspicious circumstances had been dispelled. We do not see how the evidence which has been characterised by the High Court as inadequate would suffice to dispel the suspicious circumstances which undoubtedly are present in this case. We have no hesitation in coming to the conclusion, apart from the question of registration with which we shall deal presently, that it the evidence which has been produced in this case were all the evidence available to prove the due execution and attestation of the will, there could be no doubt that the respondent had failed to satisfy the Court and dispel the suspicious circumstances which were undoubtedly present in this case. Let us now turn to the registration of the will, for it is on the registration that the High Court has relied strongly to dispel whatever it also considered suspicious in this case. The contention of Mr. Desai on behalf of the appellants in this connection is that registration may be an added circumstance in favour of the genuineness of the will and may be taken into account in considering whether suspicious circumstances had been dispelled, but the High Court was not right on the facts of this case in relying mainly on the registration to hold that all suspicions relating to this unnatural will had been dispelled. There is no doubt that this will was registered on January 27, 1944, and there is an endorsement on the will to the effect that the testator had admitted the execution of it. It will therefore be necessary to examine the circumstances more closely than the High Court seems to have done in this case. It appears that an application was made by the mukhtar-i-am of the testator (and not by the testator himself) on January 16, 1944, before the Sub-Registrar for registration of the will on commission. The Sub-Registrar himself did not go to execute the commission but sent a clerk of his named Arabali, though the reason given in the application for the issue of commission viz., respectability was not justified in law and no commission should have been issued at all. This clerk was apparently a resident of the same area in which the testator was living and knew him from before. It is a matter worthy of note in the circumstances of this case the person who went to inquire from the testator whether he had executed the will was not the Sub-Registrar himself who would be a more responsible officer than his clerk. Anyhow, the evidence of the clerk is that he found the testator quite hale and hearty. The testator came out from the inner apartment to the verandah of the house and admitted the execution of the will. Thereafter the testator signed at the bottom of the will in token of his having admitted the genuineness of the will and Dehiram Bora identified the testator. Thereafter Arabali took the document to the office of the Sub-Registrar and it was registered. It is on this registration that the High Court has relied very strongly for dispelling the suspicion arising in this case. Before we consider the evidence on this aspect of the matter further, we should like to refer to a point which seems to have weighed with the High Court in judging the value of registration. The High Court thought that four witnesses signed the will at the time of its registration. It is not quite clear what the High Court meant by this, namely whether the High Court thought that these four witnesses also attested the will ; but a perusal of the will transcribed in the record (Ex. 3) shows that this is not correct, for the only person who signed at the bottom of the will at the time of the visit of Arabali besides Arabali himself and the testator, was Dehiram Bora. Learned counsel for the respondent was unable to satisfy us how the High Court got the impression that four witnesses had signed at the bottom of the will presumably as a matter of attestation when the registration clerk came on commission. We must therefore proceed on the footing that the High Court was not right in the view that four persons had signed the will, whatever that may mean, when Arabali came for registration ; and insofar as the High Court judgment was influenced by this circumstance, it suffers from an infirmity. However, let us look at what actually happened when Arabali came for the registration of the will. Arabali's own statement on this point is that he examined Chandra Narayan Deb (i.e. the testator) at Majikuchi who admitted the execution of the will. This is all that Arabali has said in this connection. There is nothing in the evidence to show that the will was read over to the testator or was read by him before he admitted execution of it. What exactly passed between Arabali and the testator at this time has also not been given by Arabali and the exact words used by him in this connection and the exact reply of the testator are also absent from the evidence. It is true that it is broadly stated by Arabali that he examined the testator who admitted the execution of the will. That in our opinion is hardly sufficient in a case of this kind to dispel the serious suspicion which attaches to the due execution and attestation of this will. Further the evidence of Arabali is that Dehiram Bora identified the testator. That is all the part assigned by Arabali to Dehiram Bora, besides the fact that Dehiram Bora signed at the bottom of the will thereafter. Arabali does not say that Dehiram Bora was present when the testator had admitted the execution of the will or that the testator signed at the bottom of the will in the presence of Dehiram Bora and Dehiram Bora signed it in the presence of the testator. of course, Arabali does say that the testator signed at the bottom of the will in his presence, though he does not say that he signed it in the presence of the testator. We are referring to this aspect of the matter, for it. has been urged that even if the execution and attestation of December 29, 1943, is, open to doubt the will must be held to be duly executed and attested before Arabali and Dehiram Bora. Coming now to the evidence of Dehiram Bora, he began by saying that he was present when the will in favour of the respondent was executed by the testator. Exactly what he meant by this is not clear because he was undoubtedly pot present when the will was executed on December 29, 1943. However, he went on to say that it was registered in Majikuchi. He identified the testator before the registration clerk, Arabli, there. After identification be signed at the bottom of the document as identifier. Thus in his examination-in-chief Dehiram Bora merely stated that he signed at the bottom of the will as an identifier and did not say that Arabali had put any questions to the testator about the execution of the will, and that the testator admitted the execution. In cross-examination he said that the testator signed in his presence at the bottom of the will. He, however, never said that the will was read over to the testator or was read by him and that the testator admitted the execution of the will to him and thereafter he signed the will at the bottom. Thus all that one finds is that he signed as a person who identified the testater. If therefore these two witnesses, namely, Arabali and Dehiram Bora are to be treated as attesting witnesses for the purpose of s.63 of the Indian Succession Act, 1925 (39 of 1925), it is clear that they completely fail to prove due execution and attestation of the Will as required by that section. So all that we come to is that there is a bald statement of Arabali to the effect that' he examined the testator who admitted the execution of the will and there is the statement of Dehiram Bora that at that time he identified the testator before Arabali. It is on this that the will was later registered by the Sub-Registrar. We may refer to one more circumstance that has been urged before us. It is said that the will undoubtedly existed in January 1944 as evidenced by its registration. Therefore, if this was not a genuine will of the testator he would have taken steps to revoke it, for he died almost 21 years after the registration of the will. This, however, assumes that the testator knew of the existence of this will. If he did not know of the existence of this will there would be no question of his revoking it, however long afterwards he might have died. Now the evidence that the testator knew of the existence of this will consists only of what happened on December 29, 1943 and on the date when Arabali went to Majikuchi on commission in connection with the registration of the will. We have already dealt with the evidence with respect to these two dates and if that evidence is insufficient to prove due execution and attestation of the will, as we hold it is, it would also be insufficient to show that the testator knew after the end of January 1944, that such a will existed. In the absence, therefore, of the knowledge of the testator, about the existence of this will, this circumstance loses all its force. The question therefore is whether in the circumstances of the present case the evidence as to registration discloses that the testator knew that he was admitting the execution of a will when he is said to have put down his signature at the bottom of the will in the presence of Arabali. We have scrutinized that evidence carefully and we must say that the evidence falls short of satisfying us in the circumstances of this case that the testator knew that the document the execution of which he was admitting before Arabali and at the bottom of which he signed was his will. Therefore we are left with the bald fact of registration which in our opinion is insufficient in the circumstances of this case to dispel the suspicious circumstances which (1) (1930) I.L.R. 8 Ran. 179. (2) A.I.R. 1932 Cal. 574. (3) A.I.R. 1955 S.C. 346.